Add a touch of fancy to your tabletop with Avery votive cups and champagne diamonds. 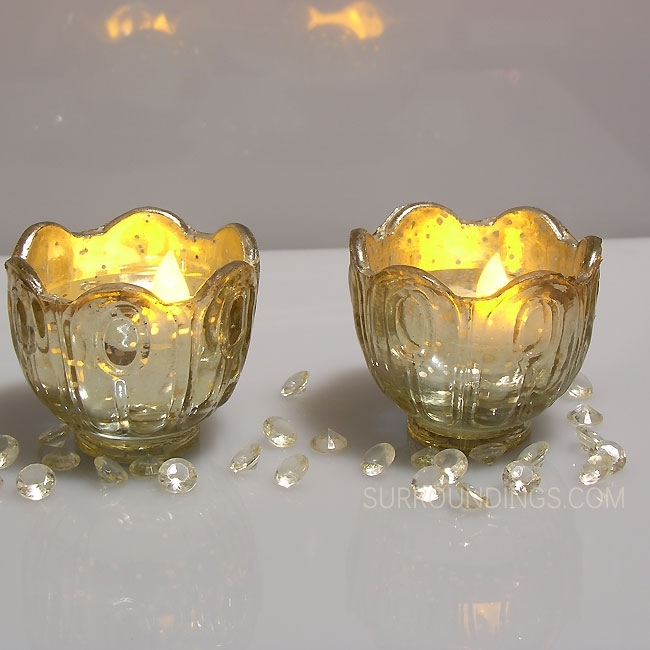 Float your battery candles in small amount of water for a unique display. 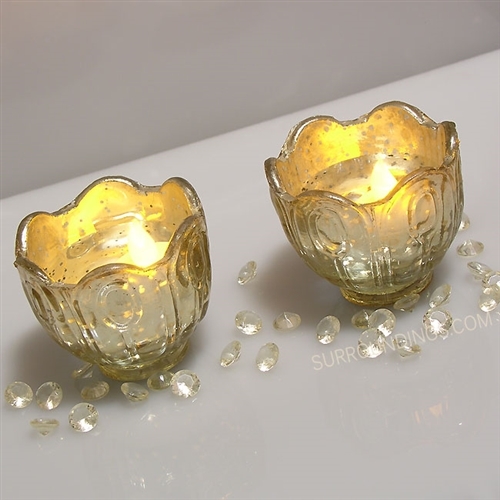 Votive cups are a soft pretty gold - neutral enough to go with any decor. These would go great on your cocktail tables - leave them together or split them up.